These workshops are for yoga and movement teachers, or advanced yoga practitioners. If you are looking to learn Buteyko Breathing for yourself, please click here. There are several YTT programs that I teach in. Although each program is unique, and I try to adapt my material to the direction the program is leaning, this is the basis of the Science of Breath Day in those programs. What is happening when we breathe? We inhale and exhale at least 20,000 times each day, and every breath impacts our chemistry, our mental state, our wellbeing. The movement of prana on the breath has long been a part of yoga, but what is happening in our bodies when we practice these breathing techniques? In this course we will look at the anatomy of breathing, the physiology of breathing as seen through the lens of Buteyko, and then we will examine pranayama. Learn how to evaluate different types of breathing and how and when to teach them (or not). This program is open to those who have taken a Yoga Detour training previously. If you have not, look ↓ at the The Integrated Science of Breath and Trauma. This program is run by the fabulous Carly Stong in conjunction with Just Breathe Yoga. Carly is a fabulous teacher from Kingston, ON, and I've taught in her program many times. I'll post the exact dates ASAP (The Science of Breath, Meditation, and Yoga Nidra), but the program runs for a month, and is going to be amazing. Angela Pereira is re-launching First Line Education, a continuing education one-stop-shop for all kinds of movement educators and trainers. It's going to be amazing. If you are not a yoga teacher, but are a kinesiologist, personal trainer, physical therapist, massage therapist, or some other kind of movement nerd, this is the place for you. Yoga teachers are also welcome to come and learn outside of the yoga paradigm. ​Sign-up now! This will sell fast. 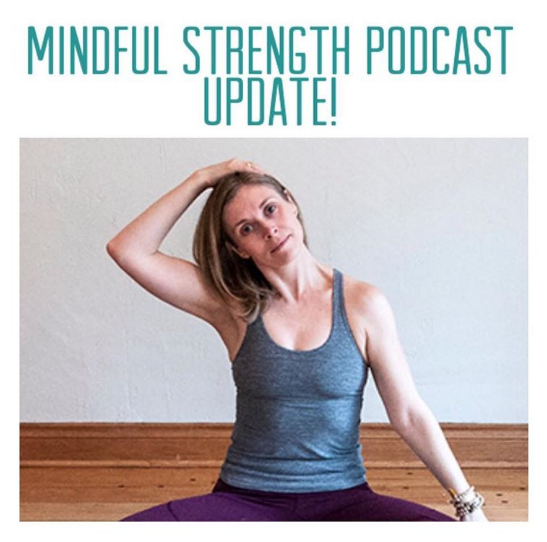 Last fall I had a chat with Kathryn Bruni-Young for her Mindful Strength Podcast about Buteyko and Pranayama, where they intersect, and where they diverge.